Why did NASA, scientists, and spokesmen of the 1960's brag about how they were going to establish space bases, mining operations, and colonists on the Moon, but so far, none of those plans have been realized. 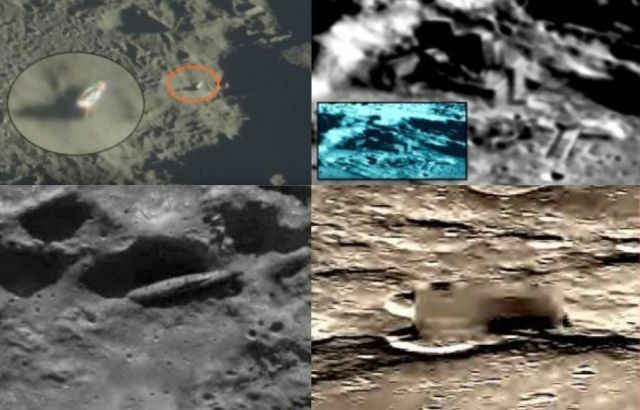 A reason for this might be that they were not only aware of extraterrestrial presence on the moon but photographic evidence also points to bases, mining facilities and other artificial structures mostly located on the far side of the moon probably built by extraterrestrial races and NASA keep it secret for the public by releasing cover stories and manipulated Moon images to hide the truth. But that can all change since China made history earlier this month with the first successful soft landing on the far side of the moon and hopefully they are going to show us some revealing images of this mysterious part the Moon. The mission consists of two robots: the Chang'e 4 lander and the Yutu 2 rover. 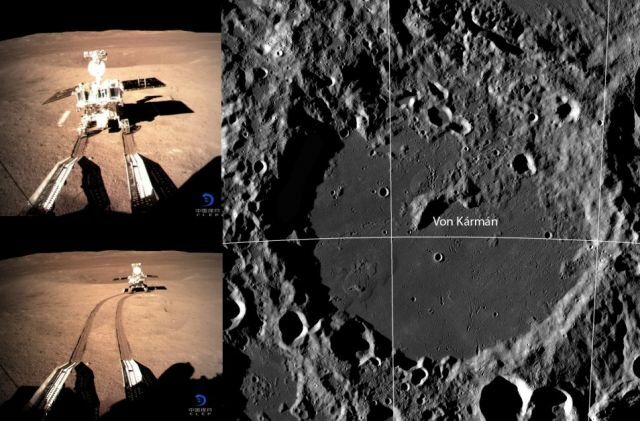 Since their arrival on Jan. 2, both have been exploring the lunar surface inside Von Kármán Crater, a 115-mile-wide (186 kilometers) feature. 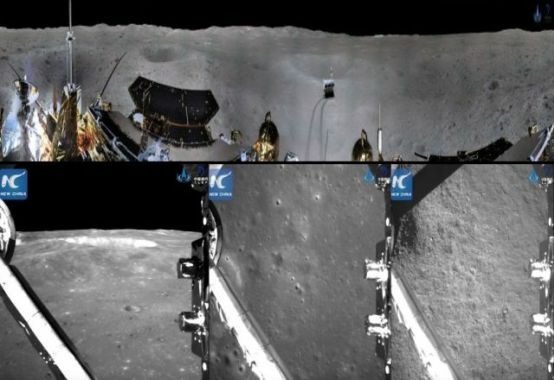 So far, the mission has not only sent back some amazing images and a panorama view of its work site but China's national space agency has released a breathtaking video of their Chang'e 4 probe touching down on the far side of the moon too. Here is the remarkable video which shows the landing of Chang'e 4 from the perspective of the craft. I bet the Americans are wailing and gnashing their teeth! Funny thing is how many of the yank retards are asserting China somehow stole technology from them to do this. Fascinating thinking processes on display, since the USA hasn't even been able to get into space without Russian rockets engines now for decades let alone land on the far side of the moon. Why? The Americans cancelled many space missions after the success of Apollo. They thought the money was better spent elsewhere. It's difficult to explore space on a shoe string budget. Why does the American government keep wasting money on things like "the war on drugs"? Because it's helping the greedy rich get richer thats why. Space is a hostile and deadly place - period.